The youngest daughter of President Donald Trump, Tiffany, stepped out with Kimberly Guilfoyle and her mother Marla Maples at New York Fashion Week. 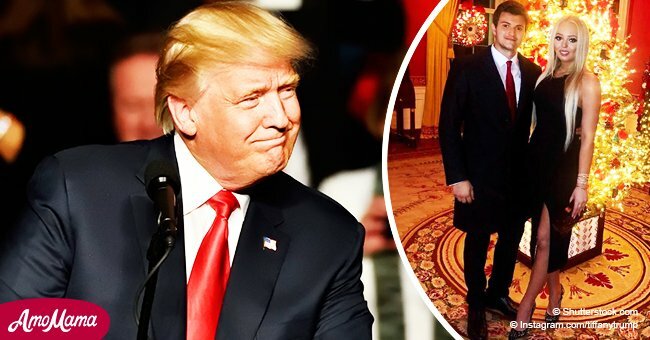 The 25-year-old was present at Taoray Wang's runway show with Kimberly Guilfoyle, a former Fox News host who is dating Donald Trump Jr, and her mum, ex-wife of Trump, Marla Maples. The trio had a front-row view of the whole show. 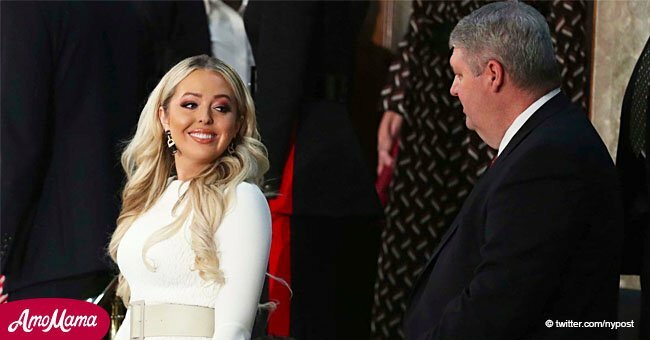 Tiffany Trump looked dashing in a black and purple off-shoulder dress with neon green lining peeping out of the flared sleeves and she wrapped the outfit up with a big leather belt. Her mother opted for a more classy, yet edgy, all-white three-piece suit. Marla's outfit was fitted, showing off her figure and cleavage. Kimberly, 49, went with a red suit dress with an asymmetrical cut at the hem, custom made by Taoray, and paired with Louboutin nudes. 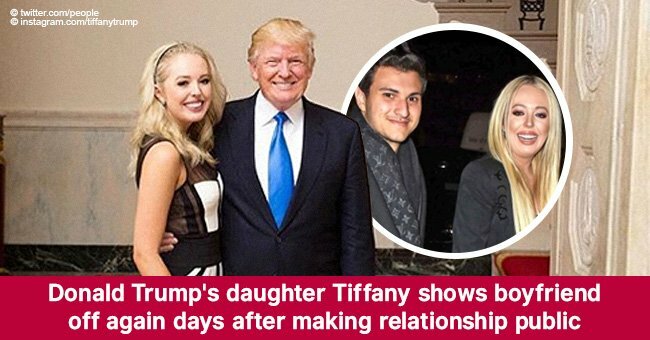 The young lady who currently studies law at Georgetown, when asked about the school said: “school is going well.” Marla Maples said Tiffany works and studies so hard, it's hard to get her to eat anything. Also present at the show was Michael Boulos, Tiffany's Nigerian boo. The duo made their relationship official last month, and they have been seen at various public events ever since. Michael also sat with the trio in the front row. He is the son of a multi-billion dollar family in Nigeria and grew up in Lagos, a metropolitan city in the country. The duo met over the summer while they were on vacation in Mykonos. According to a source close to Tiffany, the couple spent Thanksgiving together, and Michael met most of her family members. It may have been awkward since Michael comes from the country Donald Trump referred to as a "s***hole country," and then later denied. Tiffany also made a fashion statement at the just concluded State of the Union address. She wore an all-white ensemble, the same color that the majority of women Democrat lawmakers wore as a sign of solidarity. 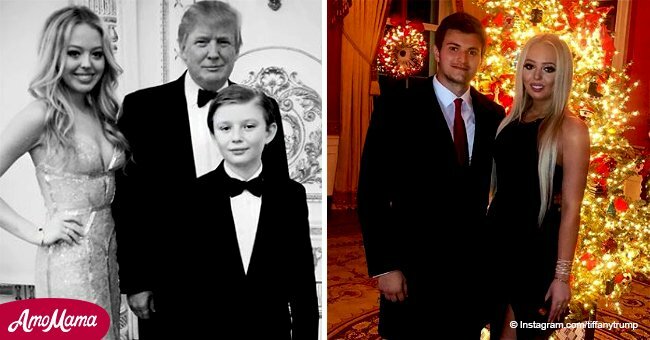 Trump paired the white dress with a beige belt which makes it seem like she may be taking a cue from her stepmother Melania Trump who wore an all-white pantsuit last year to the State of the Union address. Tiffany will be finishing law school soon, and some Americans are eager to see what is next for the 25-year-old; both career-wise and with her new found love.